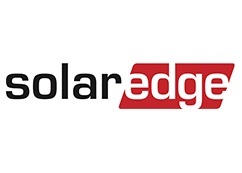 SolarEdge Technologies, Inc is a PV solar inverter manufacturer headquartered in Herzliya, Israel. SolarEdge’s mission is to become the leading provider of inverter solutions across all solar PV market segments and broaden the availability of clean, renewable solar energy. SolarEdge was established in 2006, and now has over 750 employees and offices across 5 countries, including their US headquarters in Fremont, CA. SolarEdge Technologies, Inc is a publicly traded company and has been traded on the NASDAQ since 2015. SolarEdge products have been installed in more than 100 countries, and is the #1 inverter supplier to the US residential market and the #3 inverter supplier to the US commercial market. SolarEdge’s revenue in 2016 was over $480 million. The SolarEdge system consists of inverters, power optimizers, storage solutions, and a cloud-based monitoring platform. This system enables superior power harvesting and module management by deploying power optimizers to each PV module while maintaining a competitive system cost by keeping the alternating current (AC) inversion and grid interaction centralized using a simplified DC-AC inverter. SolarEdge invented the direct current (DC) optimized inverter system in order to maximize power generation at the individual PV module level while lowering the cost of energy produced by the solar PV system. SolarEdge offers string inverters of all sizes, including for both single-phase and three-phase applications. SolarEdge also offers an all-in-one PV solar inverter and battery inverter solution through their StorEdge™ product which can be used for standard PV power, on-grid storage, and backup power applications. Their single-phase and three-phase inverters can reach CEC weighted efficiencies of 99%, and their StorEdge™ products can reach CEC weighted efficiencies of 97.5%. SolarEdge’s DC optimizer technology also provides built-in functionality that inherently allows any system they are installed on to be compliant with the rapid shutdown requirements in the 2017 NEC and are certified to meet the new UL1741 SA standard which relates to a distributed system’s compatibility with the grid. SolarEdge’s monitoring solution provides home and business owners with module-level monitoring capabilities free of charge for 25 years. SolarEdge is a global leader in PV solar inverter technology, but is a SolarEdge branded product right for you?